Litvaks—Lithuanian Jews—are believed to have arrived in the Kaunas region at the start of the 15th century, originally settling in the nearby shtetl of Slobodka (today’s Vilijampolė neighbourhood) just over the river from Old Town and the location of the wartime Kovno Ghetto. By the time of the Nazi invasion of Lithuania on June 22, 1941, the city’s Jewish population numbered over 30,000 inhabitants. A vast and often forgotten amount of the city’s interwar architecture was built using Jewish expertise and/or money, a contribution to the success of the newly independent country that was rewarded with the mass murder of the city’s Jews during the Holocaust. 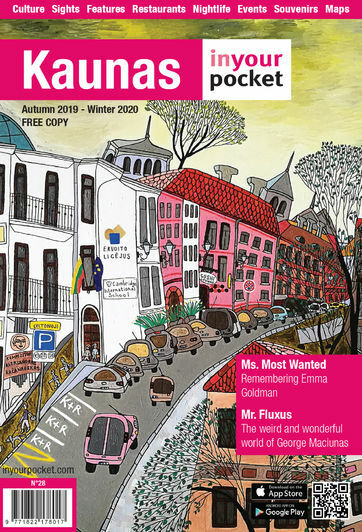 Kaunas’ contemporary Litvak population is tiny, its two ageing communities constantly at war with each other and more or less completely out of touch with the 21st century.